Looks like only one of these fish are laughing. Just another clownfish clowning around. This clown fish sure thinks that he’s funny. The puffer in the picture with pie on his face may think differently though. 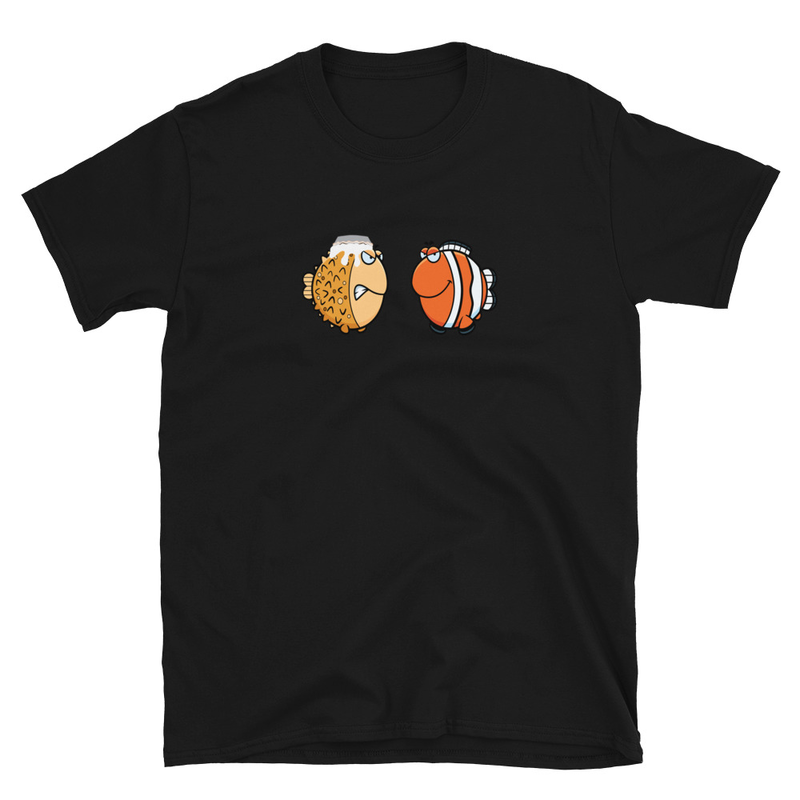 This funny aquarium fish shirt is available in white, light blue, tan and Irish green. Your friends at the fish shop will love it! Be the first to review “Not so funny clownfish” Click here to cancel reply.